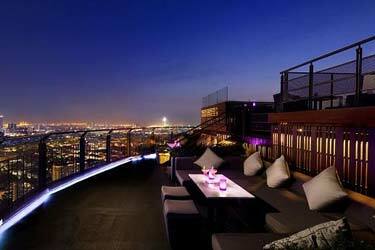 CHAR Rooftop Bar Bangkok is a fairly new rooftop bar in Bangkok, located on the luxurious Hotel Indigo. 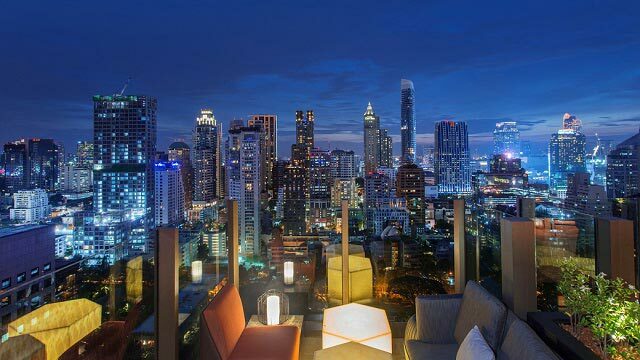 In addition to the stunning rooftop bar, there is also a very nice restaurant and a luxurious and modern infinity rooftop swimming pool here (pool is for hotel guests only). 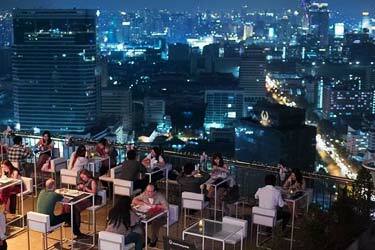 The view from CHAR Bar Bangkok is absolutely wonderful. 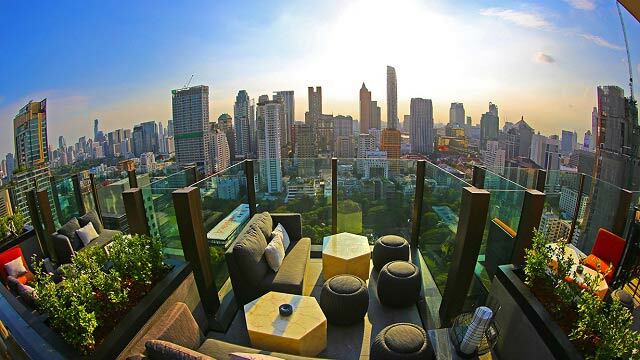 Mighty views of Bangkok's skyline, towering in the background. 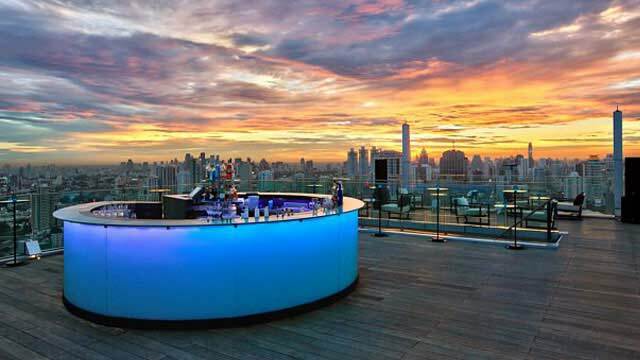 The bar menu serves mixologist cocktails matching the views: wonderful, creative and tasty. 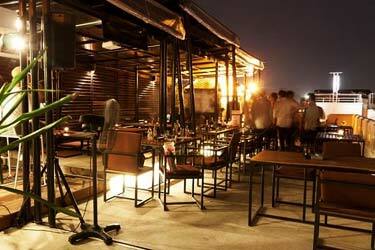 Try the 'Lovers’ Confession' (sweet/sour), consisting of Beefeater 24, lime, syrup, cucumber, lemon bitter, thyme, egg white and pomegranate. 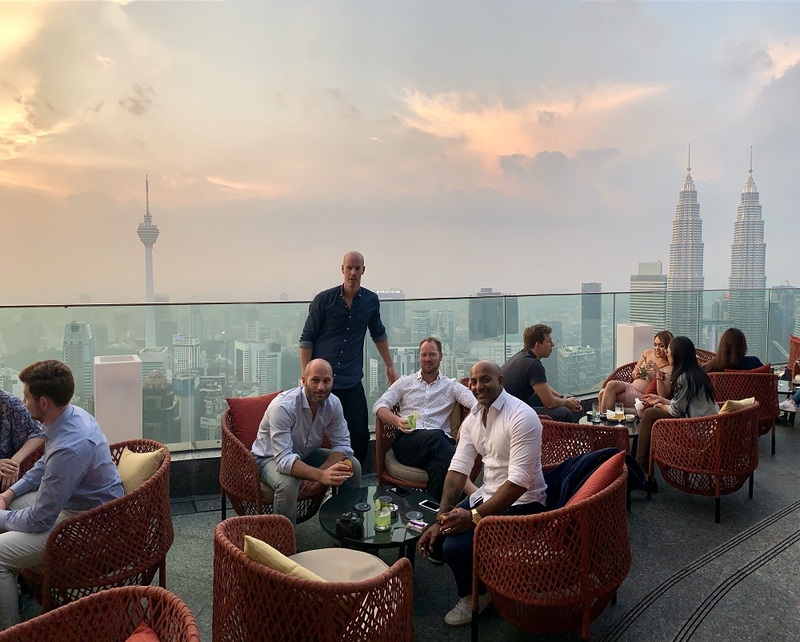 There are also some bar bites and cigars on the menu. 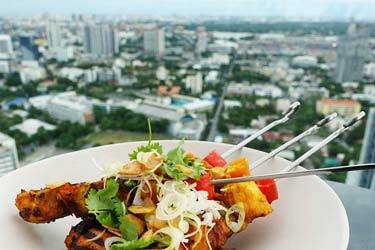 The rooftop bar is on the 26th floor, and one floor down is the CHAR Restaurant, serving great contemporary grill, both meat and seafood. 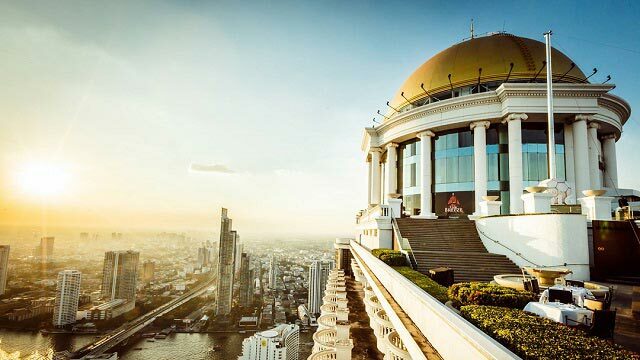 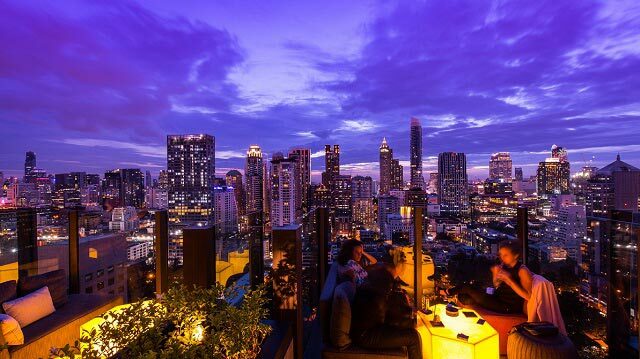 So if you are looking for a full night with both rooftop dinner and drinks, combined with magical views in a luxurious and friendly environment, then CHAR Bangkok is a great rooftop bar in Bangkok to visit. 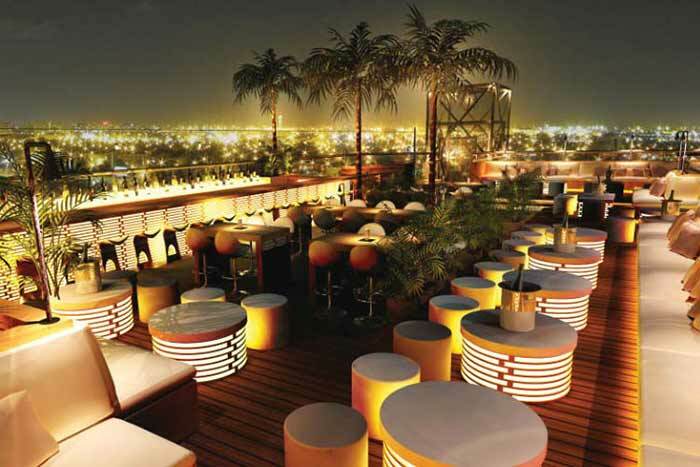 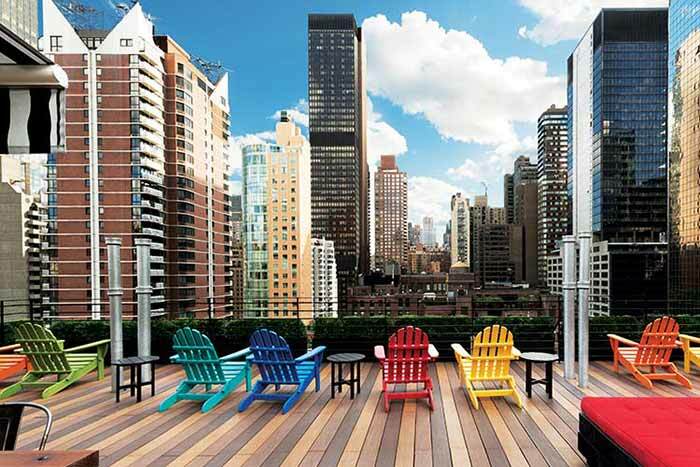 It is also possible to rent the terrace for private events or large parties. 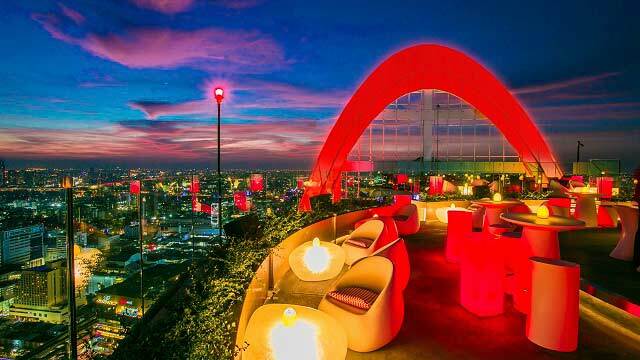 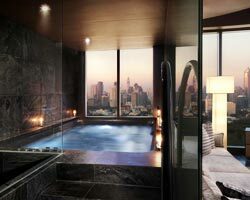 Tip: Enjoy the full package of rooftop pool, bar and restaurant by staying a couple of nights at the 5-star Hotel Indigo Bangkok Wireless Road. 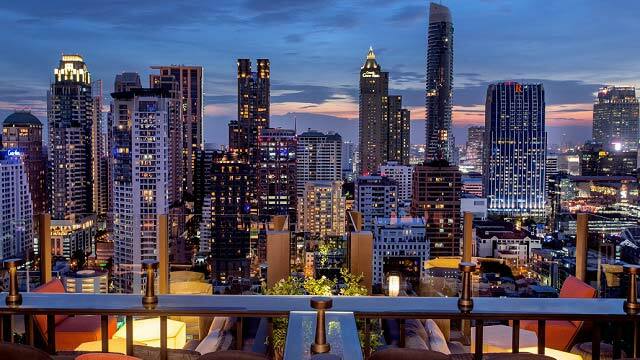 Read our review of the rooftop pool at Hotel Indigo in Bangkok.